Our drywall experience and our insistence to do our job with accuracy allow us to install new walls with perfection. You will never have problems with the taping or cracked edges unless damage is caused by other factors. We have efficient and very careful drywall installers in our company and can assure you that the results will be exquisite from all aspects. Technically, the new drywalls will be stable and will never threaten the structure and stability of your house. Aesthetically, the results will be wonderful. The walls and ceilings will be smooth and textured perfectly. When you trust “Drywall Repair Hermosa Beach”, you can be certain that every little detail will be taken into consideration since our goal is to serve our customers well. We provide new drywall installation in full cooperation with the customer. Our company has a great personnel and each member has different duties. The main thing is that you will have a full team around you caring to take the right measurements, offering solutions, examining the requirements of your property, drafting plans and taking into consideration the local building codes. Most of the work is done prior to the drywall installation so that we can avoid mistakes and ensure your property is exactly what you had in mind. Everyone at Drywall Repair Hermosa Beach is very professional. We try to find practical solutions for each client, and are here to listen to your desires and offer you our own professional recommendations after checking your place. We want to deliver work that will improve and not make your life difficult. Our staff is here to inform you about drywall prices and give you options among materials. Although drywalls do not have many differentiations, still their fire resistance and insulation properties will depend on your choices. Rest assured that our personnel will be here to help you out. 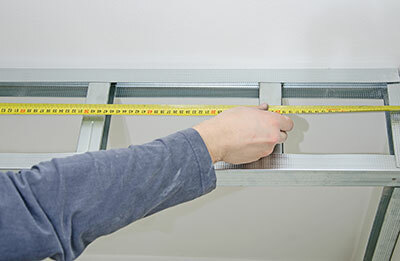 We are all great experts in drywall repair services and that's why you can trust our opinion. We make sure the new panels are installed properly and taped perfectly, the right compounds and coatings are used, and they are stable. We install them in different parts in the property for either practical or aesthetic purposes and have the experience to do each service perfectly. We finish drywall installation with the best textures based on what the client needs and are also here to hang ceilings – whether arched, smooth or curved. New drywall installation is done to the full satisfaction of the client and attention to every single detail. 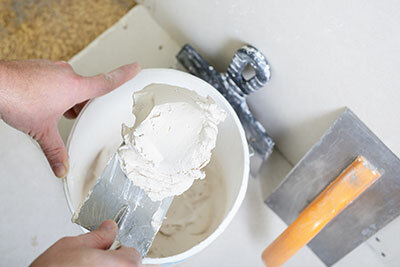 We can cover them with paintings, wood or brick and excel in plastering services. Don't hesitate to ask our help or seek our opinion. Give us a call or Email us!